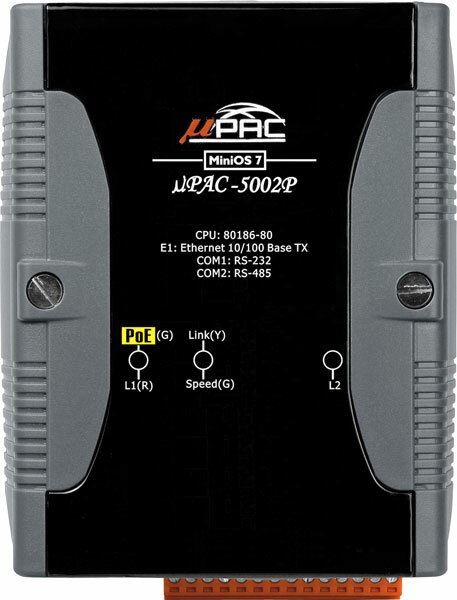 uPAC-5002P | The uPAC-5XX1 series is an enhanced version of uPAC-7186EX. It provides C tool kits for C programmer. Owing to the bigger and special form factor design, the uPAC-5XX1 can add an internal wireless module, such as 2G, 3G, ZigBee, Wi-Fi, GPS for different wireless application. The uPAC-5XX1 series is an enhanced version of uPAC-7186EX. It provides C tool kits for C programmer. Owing to the bigger and special form factor design, the uPAC-5XX1 can add an internal wireless module, such as 2G, 3G, ZigBee, Wi-Fi, GPS for different wireless application. The uPAC-5XX1 series is an enhanced version of uPAC-7186EX. It provides C tool kits for C programmer. Owing to the bigger and special form factor design, the uPAC-5XX1 can add an internal wireless module, such as 2G, 3G, ZigBee, Wi-Fi, GPS for different wireless application. The optional I/O expansion board, XW-board, is two times larger than the X-board of uPAC-7186 and provides high-protection I/O. 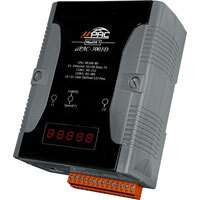 With built-in micro SD, the uPAC-5000 can be used as a data logger. 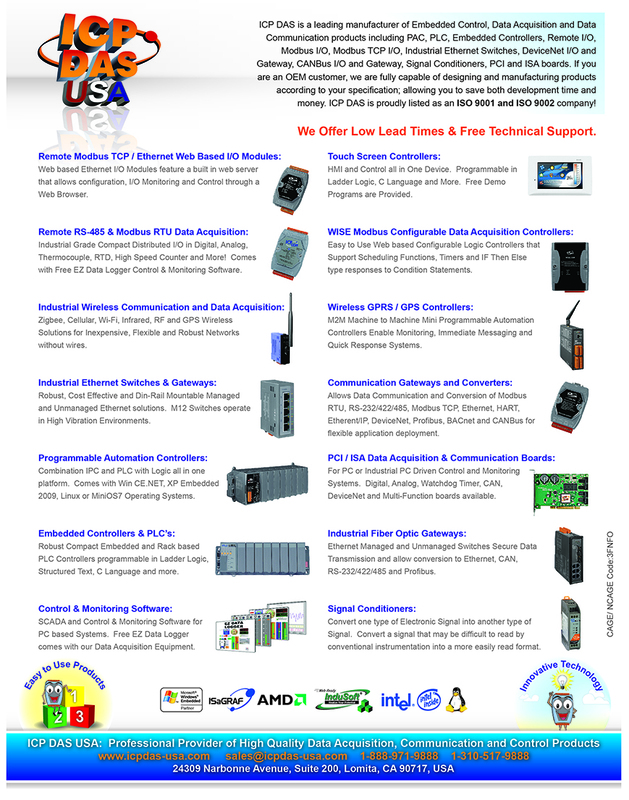 ICP DAS provides easy-to-use software development tool kits (Xserver, MiniOS7 framework, VxComm, Modbus libraries). Users can use them to easily integrate serial devices to have Ethernet/Internet communication ability and through the standard Modbus protocol to communicate with SCADA software (Indusoft, ISaGARF, DasyLab, Trace Mode, Citect, iFix, etc.). RS-232 (TxD, RxD, RTS, CTS, GND), non-isolated, Speed: 115200 bps max. RS-485 (Data+, Data-) with internal self-tuner ASIC; non-isolated, Speed: 115200 bps max.